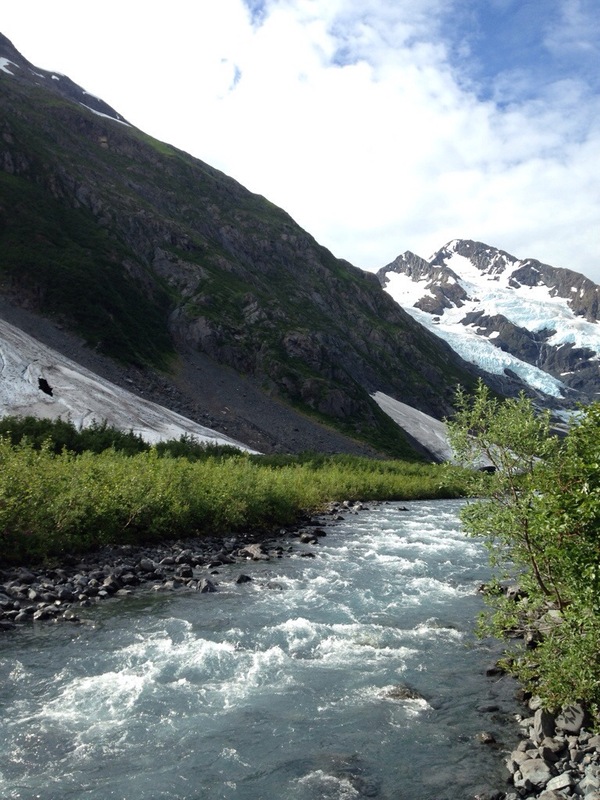 We’ve been back from Alaska for almost two weeks now! 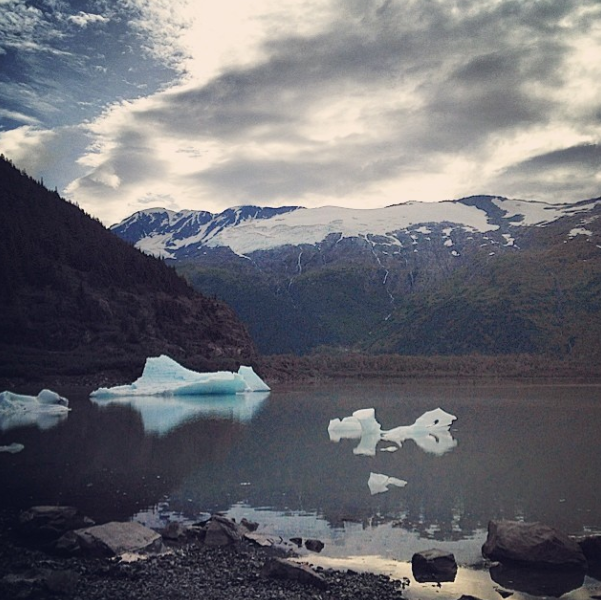 Coming home from travel always feels good but the short time we spent in Alaska made it feel like a dream. Sometimes it still feels strange to me to think it actually happened and that I was indeed in some of these surreal backdrops. 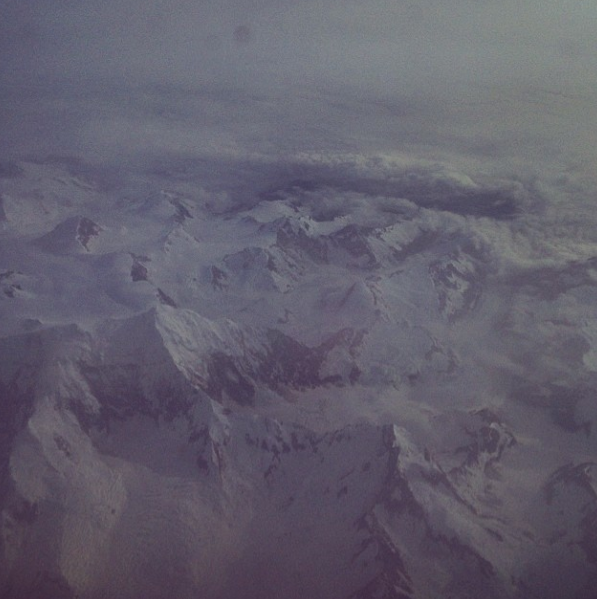 Flying into Anchorage was exciting as we flew over British Columbia. From above, it’s almost too beautiful for words. An alien world, almost like a different planet from above. 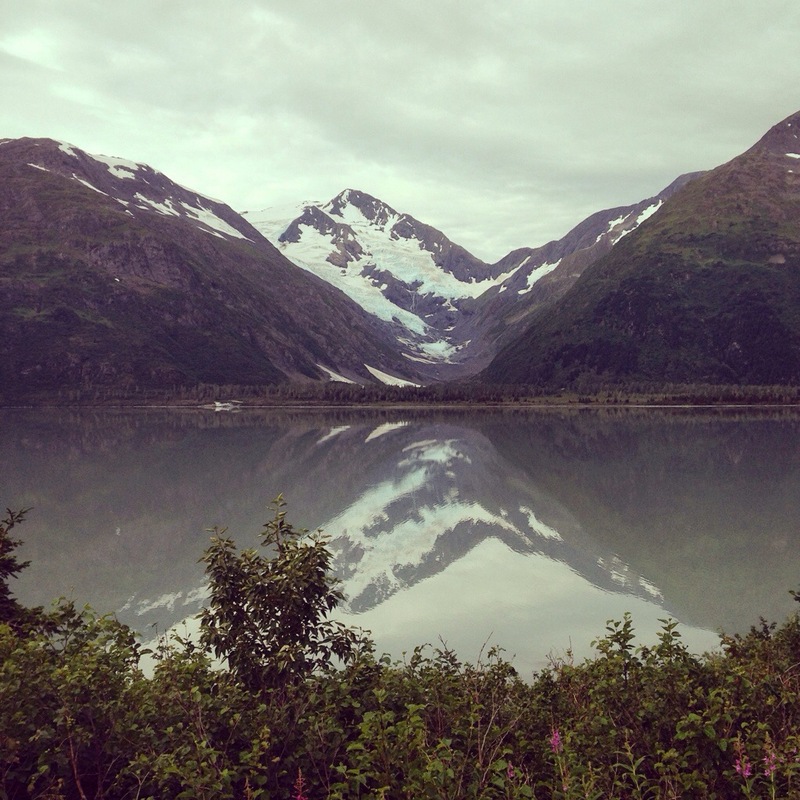 Alaska is beautiful. 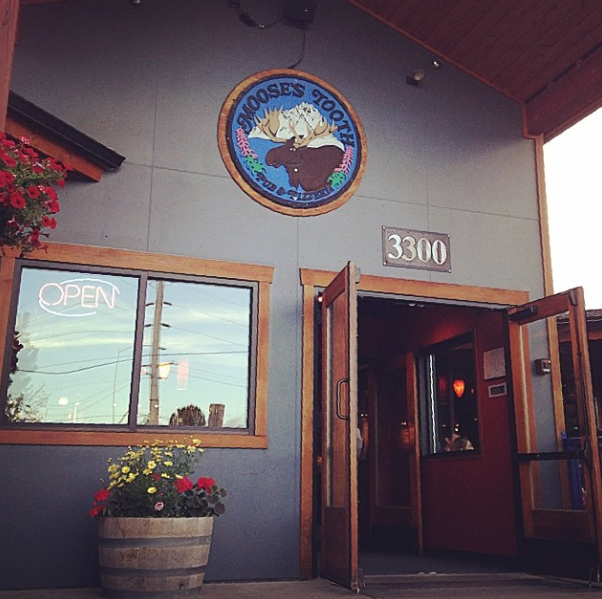 Large, expansive and yet, being within town limits it had a claustrophobic feel. 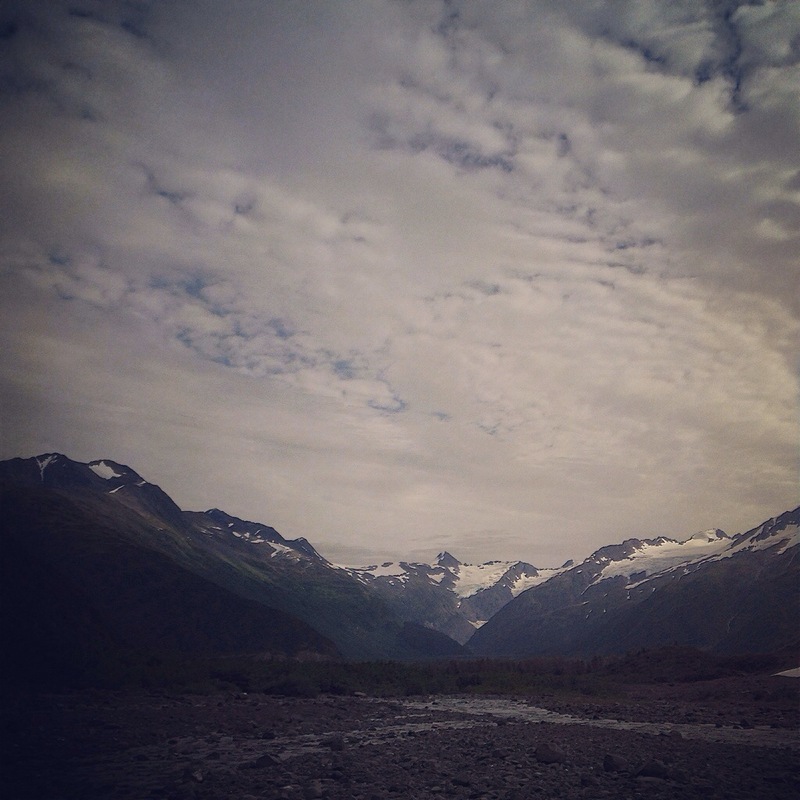 I blame the towering mountains. 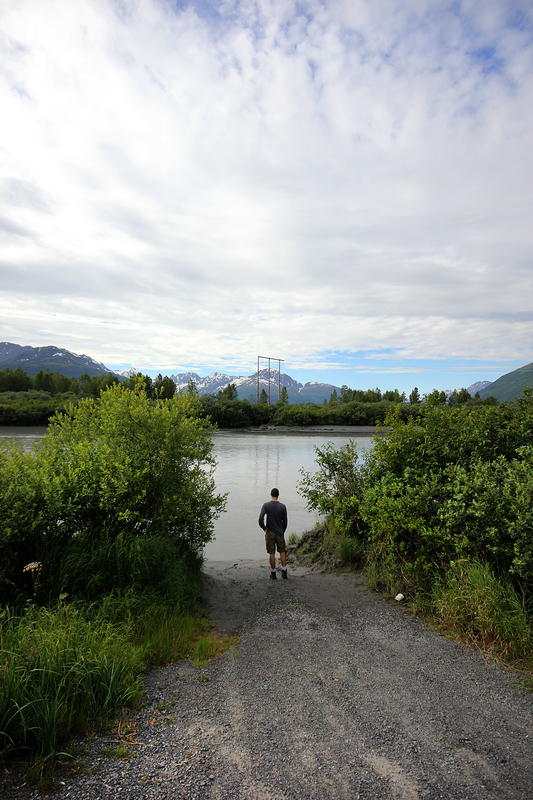 I thought I would see towering mountains up north in Denali but I never suspected to see them from Anchorage. It’s interesting what sense we get from far away places growing up. We don’t have large towering mountains in Pennsylvania. I always remember driving up North to the Poconos or further north and being impressed with the size of the mountains we do have. 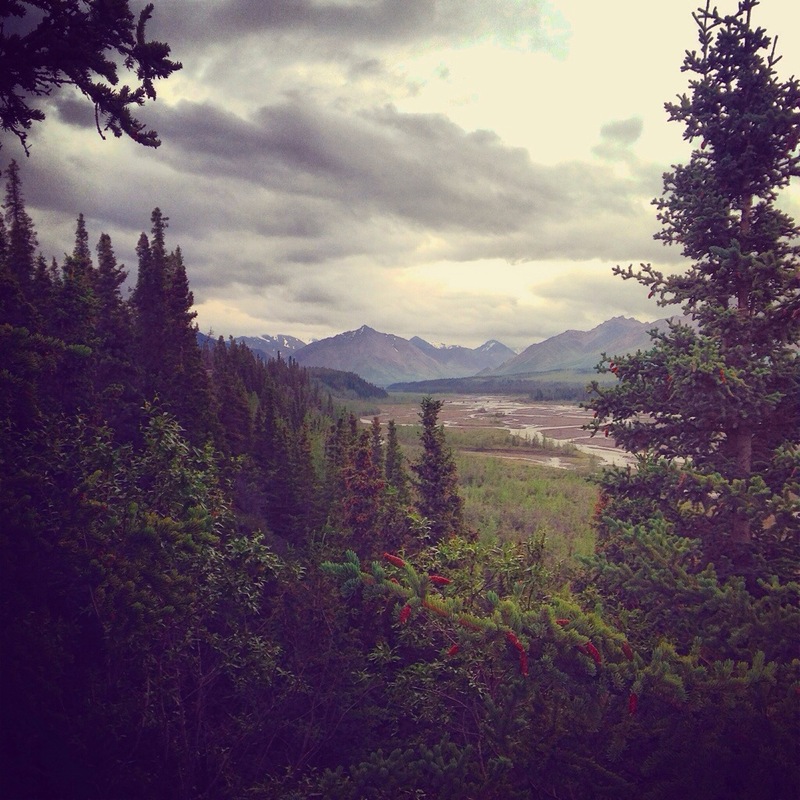 Our mountains are small in comparison and covered in greenery but still so lovely. The drive from east to west Pennsylvania is so beautiful. 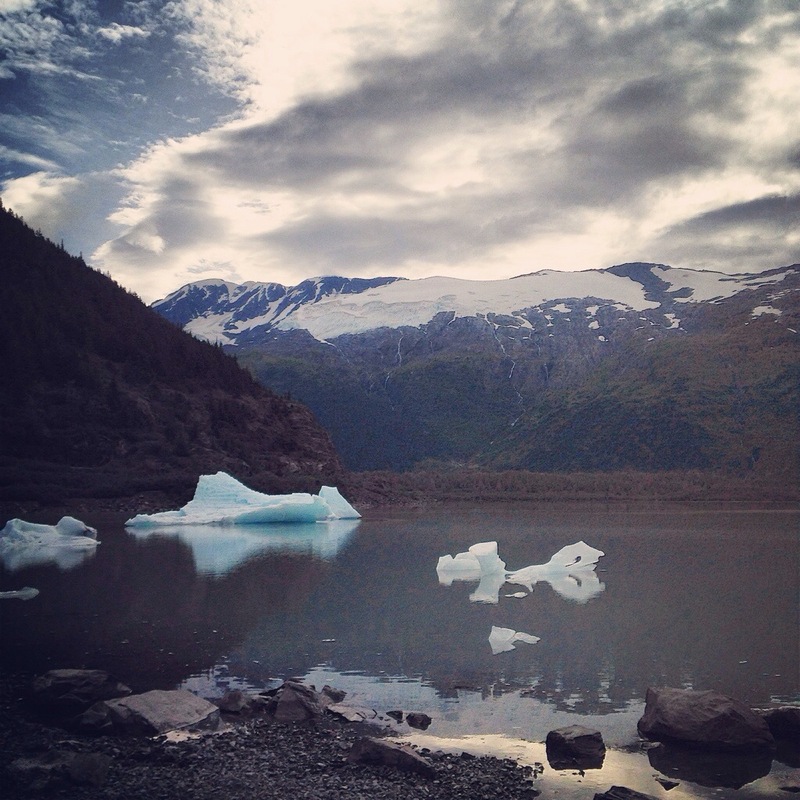 The mountains in Alaska are bare, snow-capped and immense. A scene so impressive, sometimes I had to put my camera down because I would never be able to capture the impressiveness of the place. The next morning we went to a little coffee shop in downtown Anchorage and then stopped by 4th and D streets to see the starting line for the famous dog sled race The Iditarod. 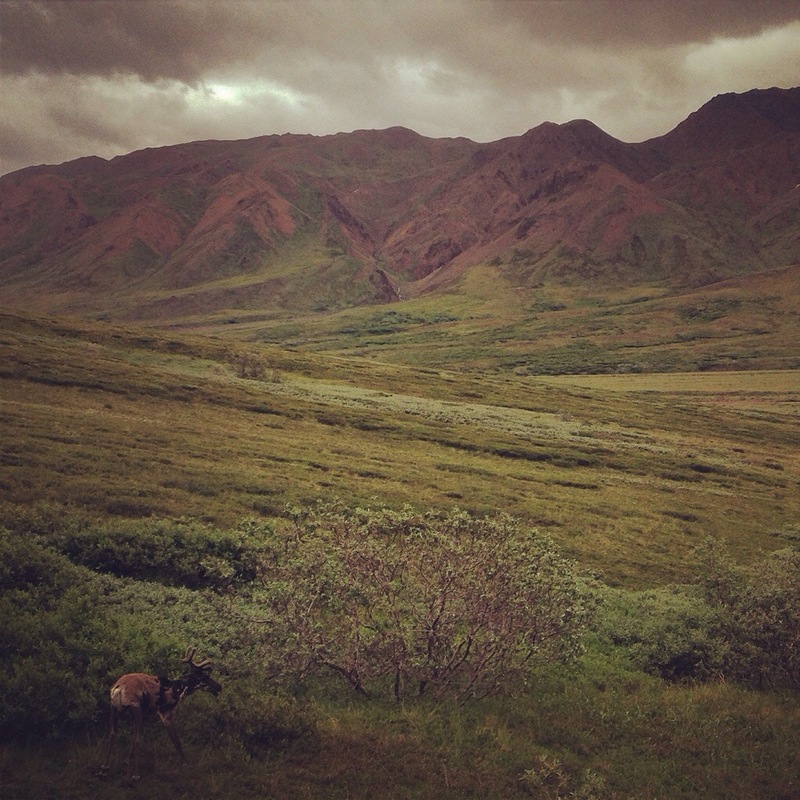 Every March, the dog sled teams take off from this starting line and race across the state to Nome, Alaska. 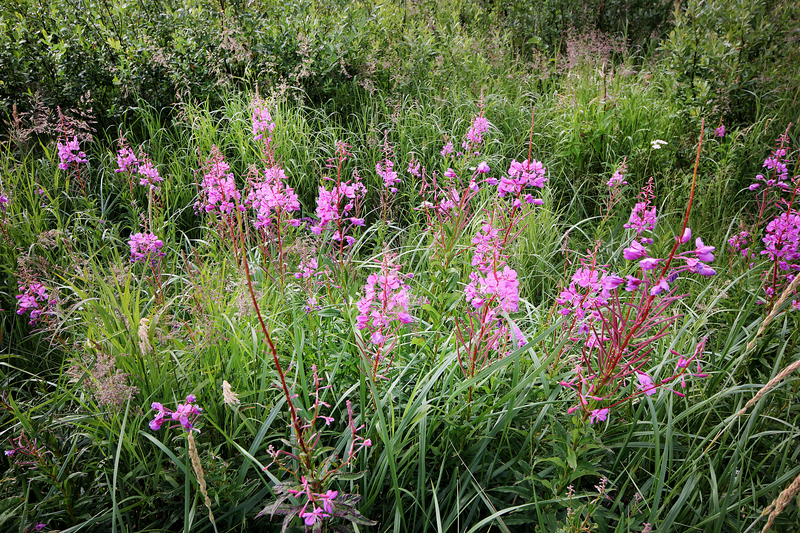 They travel over harsh terrain for 1000 miles. It is still on my bucket list to be able to experience this race in person and especially experience the after party when the first musher arrives in Nome. One day! 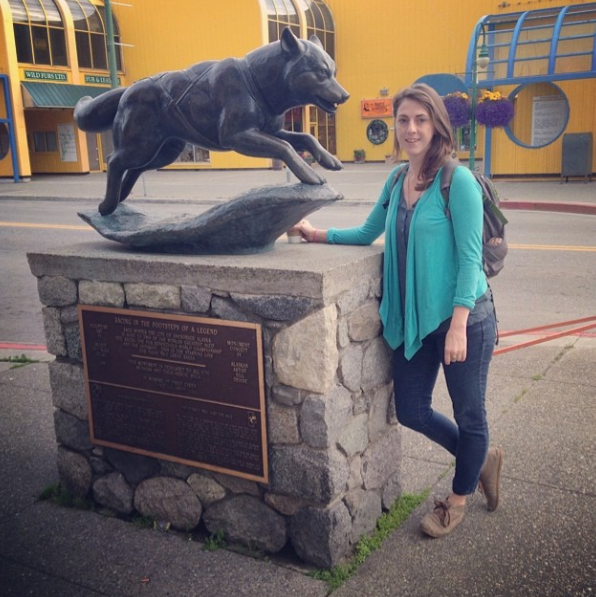 I made it to the starting line of the Iditarod! 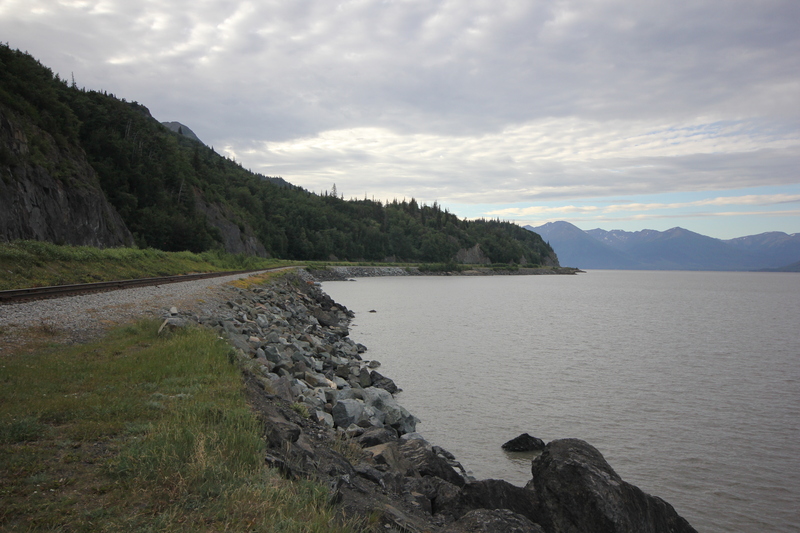 I will leave you today with some images from the Seward drive South along the coast. 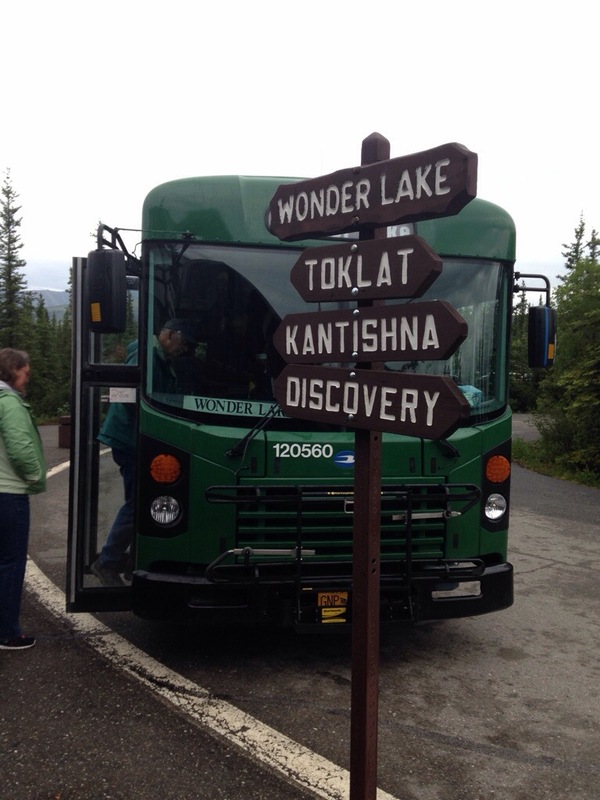 Next time: Denali National Park and Healy, Alaska! 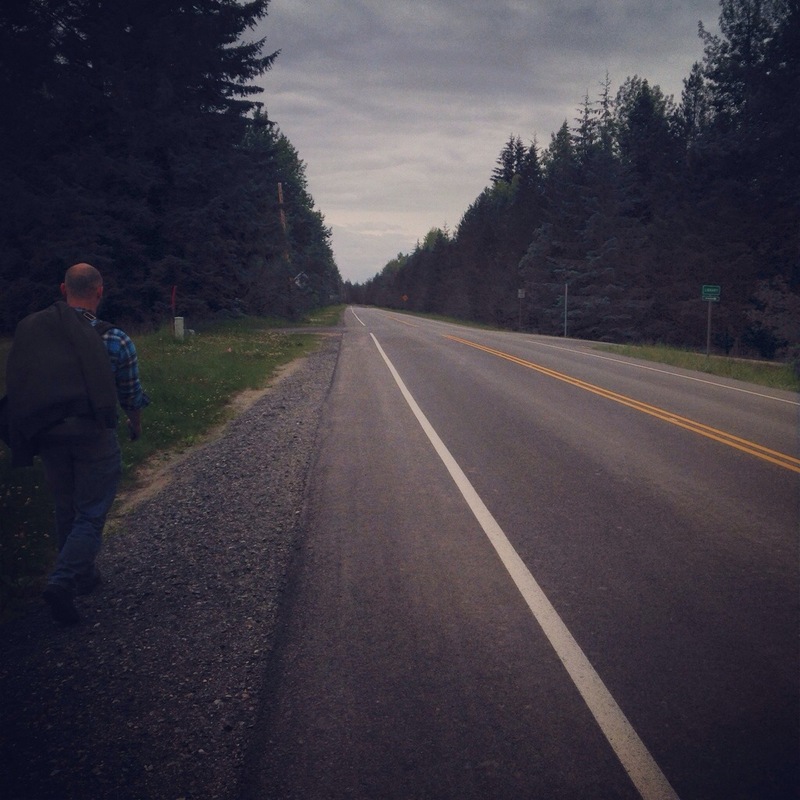 A road trip North! 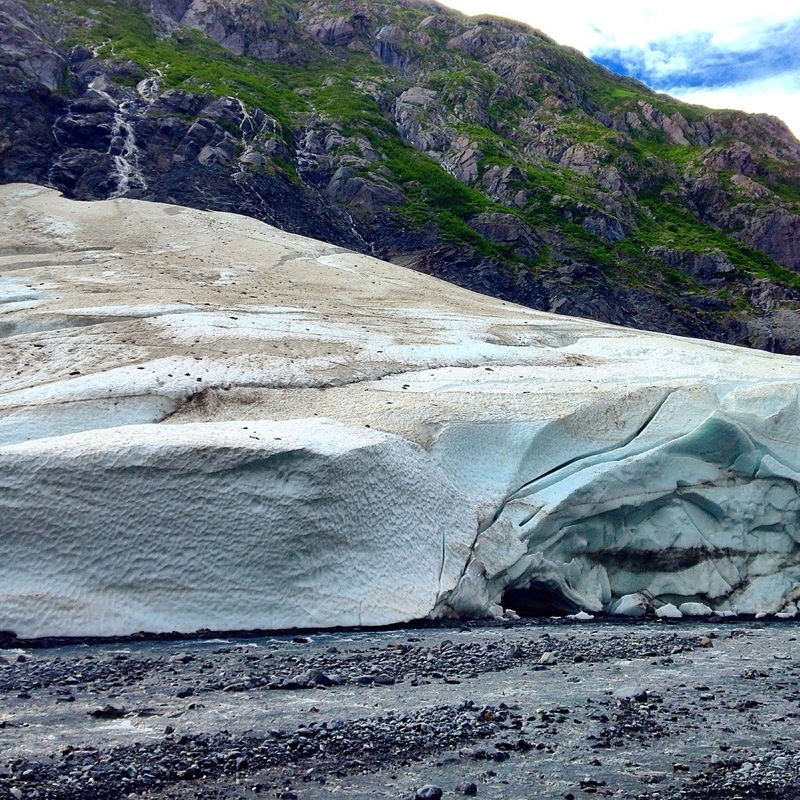 First sight of an iceberg! 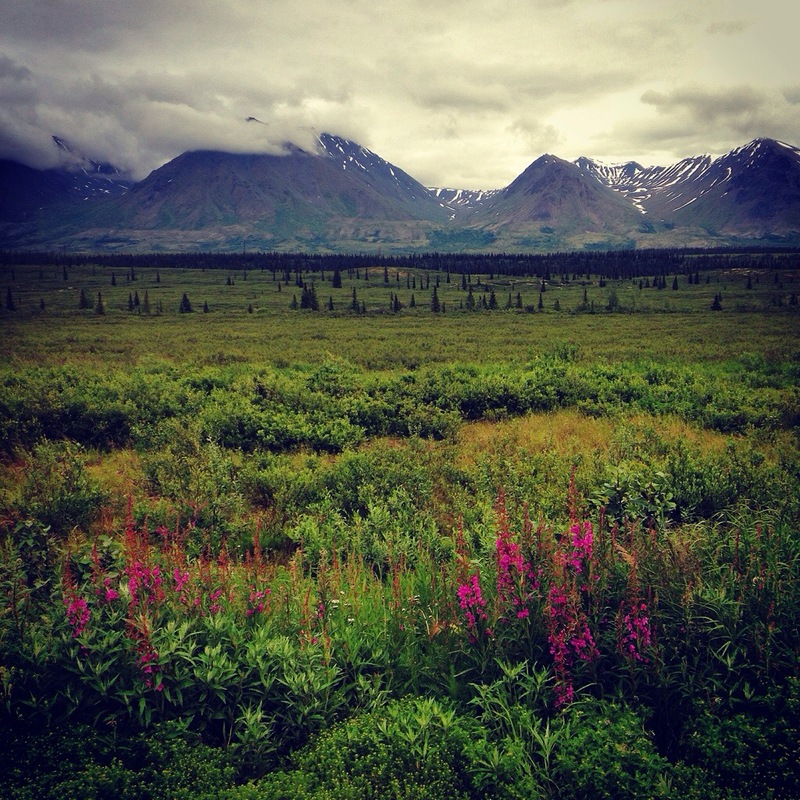 I am gearing up for my trip to Alaska next week with two of my brothers and my dad. Planning, packing and cleaning my apartment is top priority today. 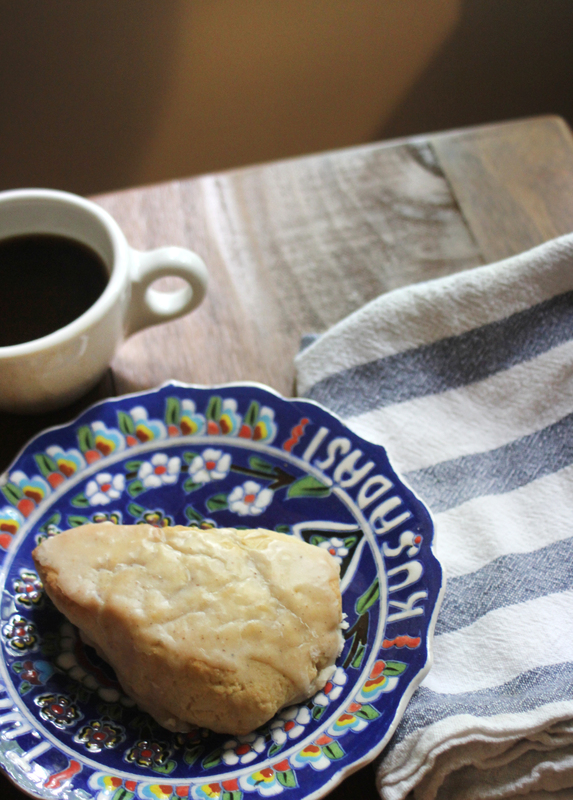 Last night I made maple scones and this morning I had one with some coffee while looking over trip itinerary. 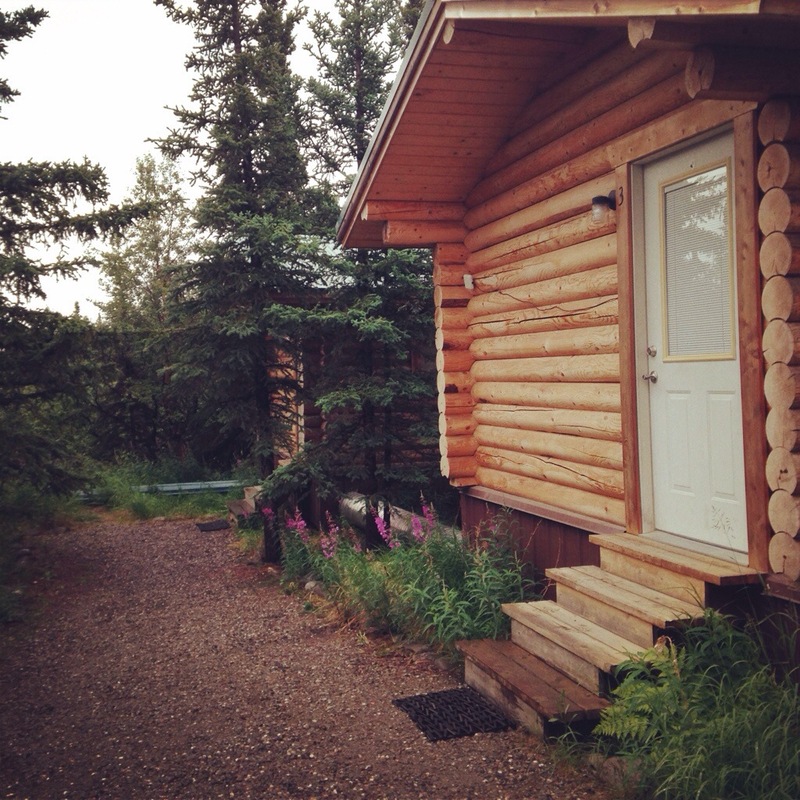 I had a dream last night that one of the cabins I booked near Denali National Park couldn’t confirm my reservation because I didn’t pay them on time. I woke up in a sweat! I double checked. They have us on record. phew! It feels cooler today. Low 80’s here in eastern Pennsylvania. 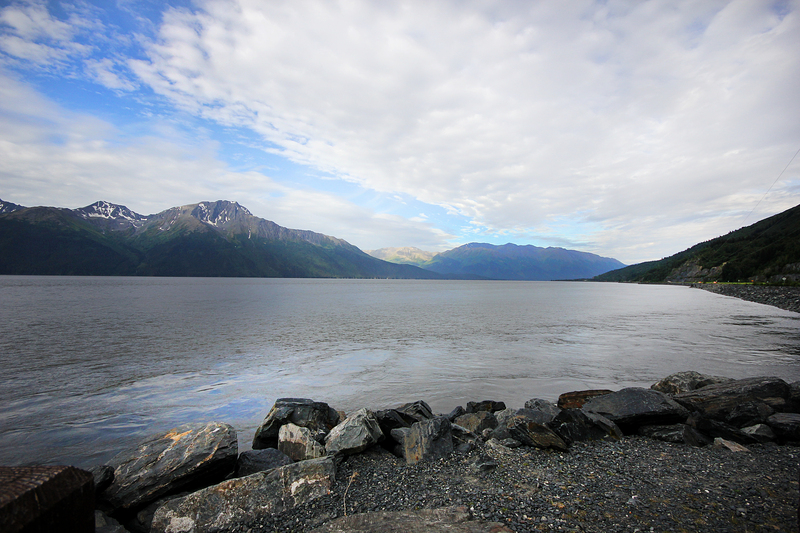 In Anchorage the highs will be in the low 60’s! Looking forward to a quick return to autumn temperatures and wearing a sweater at night…..annnnnd the serene beauty of theAlaskan wilderness, seeing the start line for the Iditarod, cabin living in the middle of nowhere, glaciers and Mount McKinley of course! It should be one heck of an adventure. 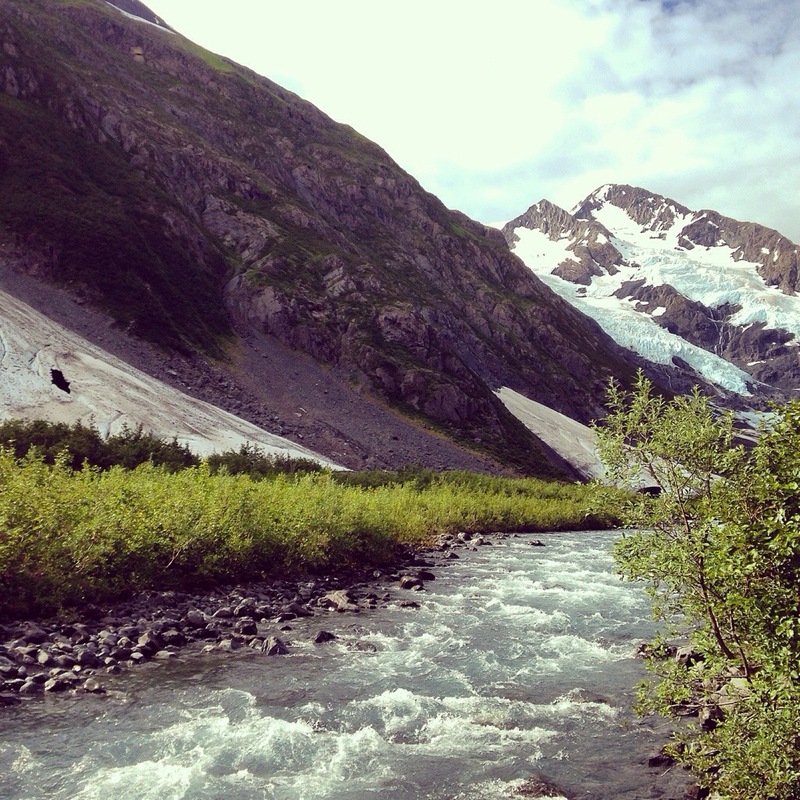 Here’s to the coming weekend, my birthday (Saturday) and adventures in Alaska! 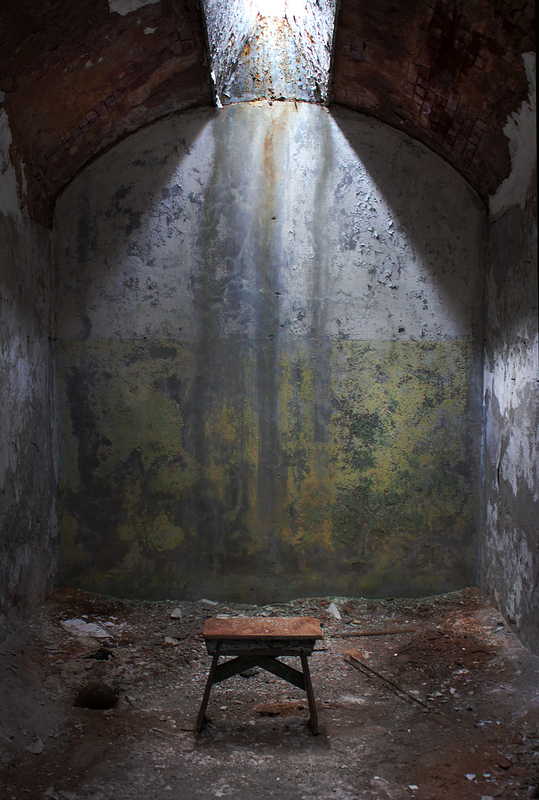 This is a series I made called “Portrait of a Cell; The Eye of God” at Eastern State Penitentiary in Philadelphia, Pennsylvania. 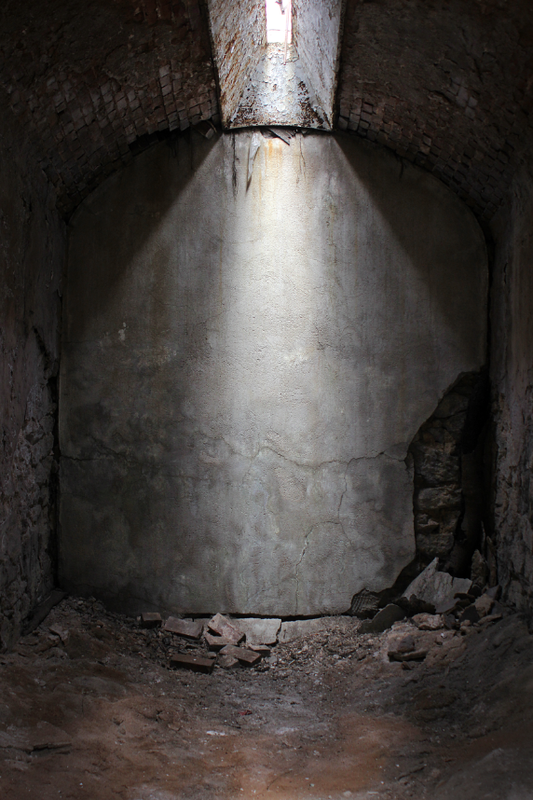 I was inspired by the light in Eastern State and the importance of the thin beam of light that fell into each cell. 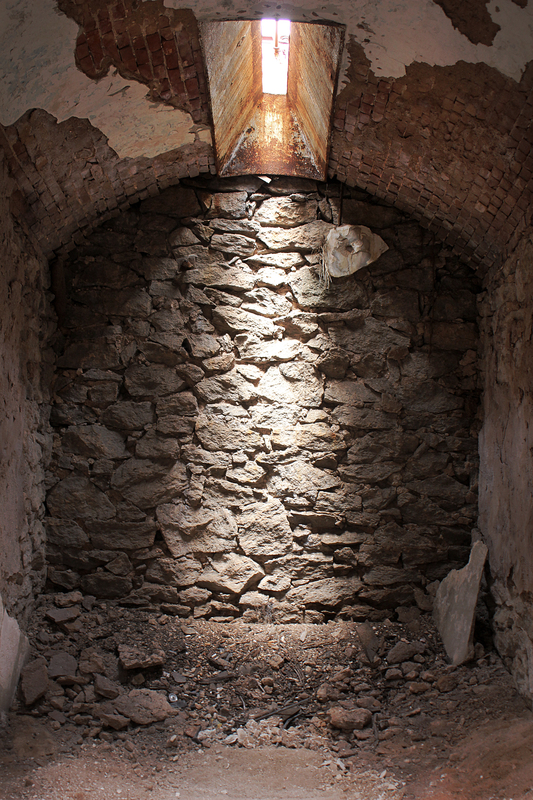 This light was often the only source of sunlight a prisoner was able to experience in one day. Sunlight is so important in my own life and the way most of us interact with sunlight is free choice and I started to think about what it would be like to have sunlight delegated or rationed out to me. Often the prisoners, in the early days, would be allowed a short time outside but would wear a mask so as not to interact or communicate with other prisoners. Those who spent time in isolation did not have any access to light or communication to others sometimes for up to two weeks. For myself as a photographer, light affects my work and they way I see the world. 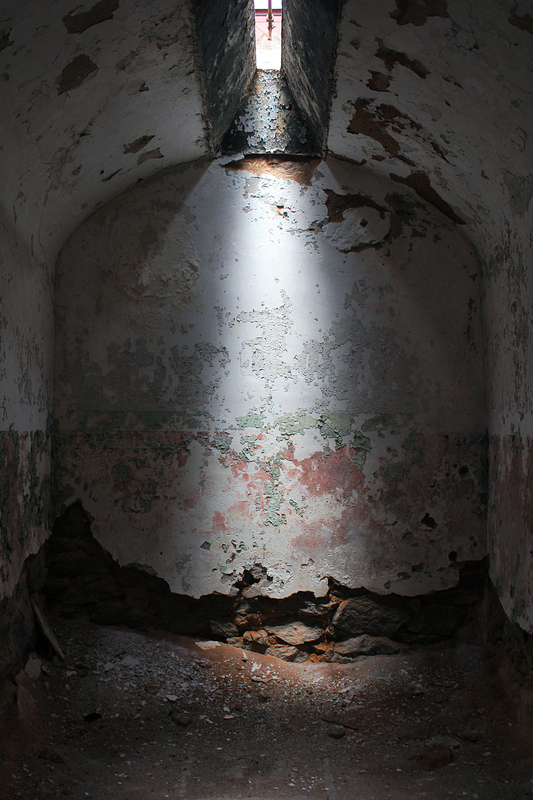 Light played a role throughout Eastern State Penitentiary and was an important way in which I observed and viewed the penitentiary. I was most taken with the way that light was designed into the penitentiary and the strict programing of the daily life of a prisoner. John Haviland, the architect of Eastern State, called the window in the ceiling of each cell “The Eye of God” and designed the penitentiary as a space for solitude, penitence and reflection on behavior. 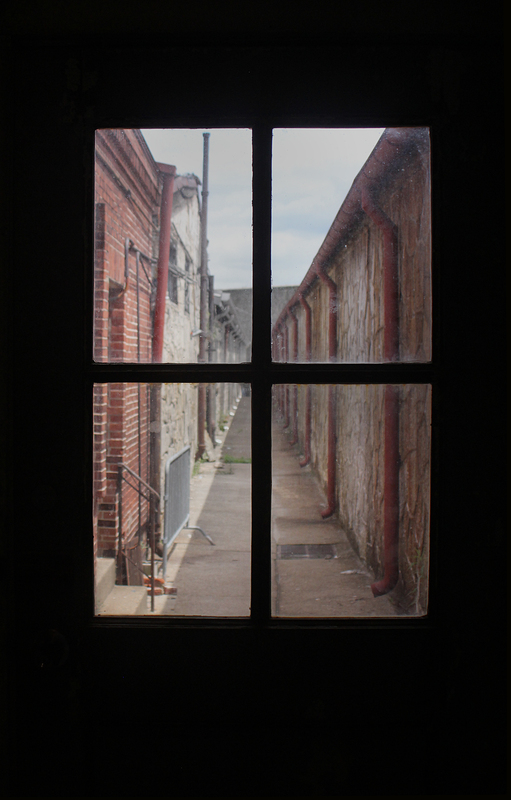 Observing these penitentiary cells made me reflect on how spaces we live in can affect our well-being and mental health. I found the cells jarring images of solitude and isolation and not hope and redemption as originally planned by Haviland. Tessa Downs Phototgraphy All Rights Reserved. 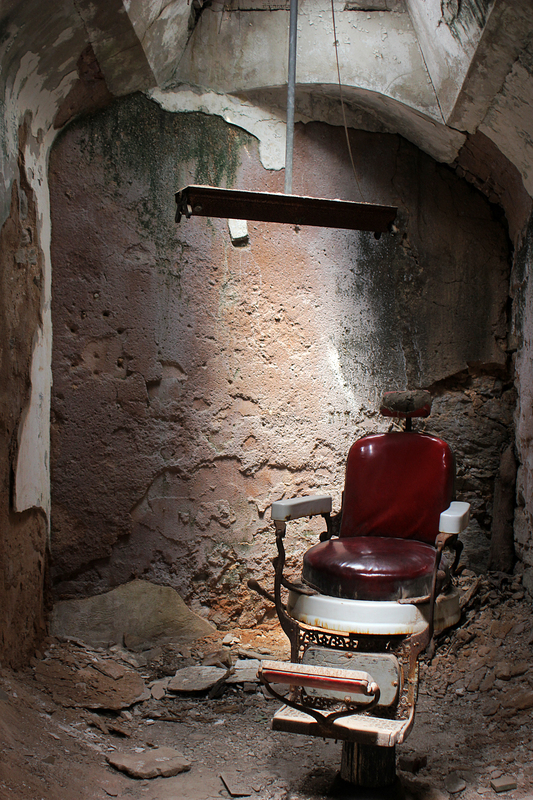 On June 26th I went to visit Eastern State Penitentiary in Philadelphia. 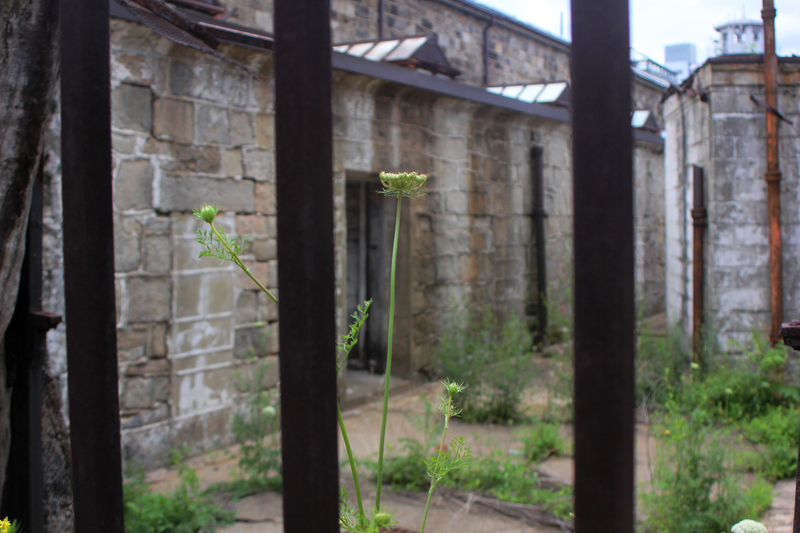 It was an insightful look the massive penitentiary that stands in the middle of the Fairmount area of Philadelphia. 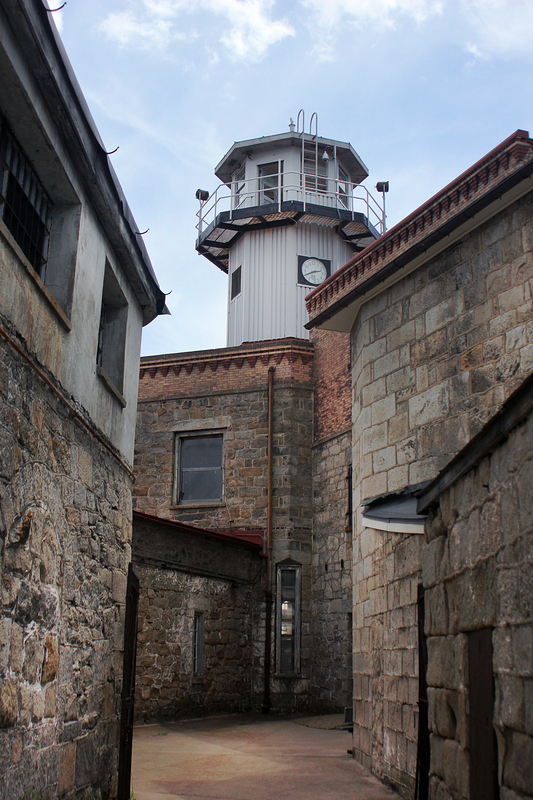 The penitentiary was designed by John Haviland and opened in 1829 on October, 25th. 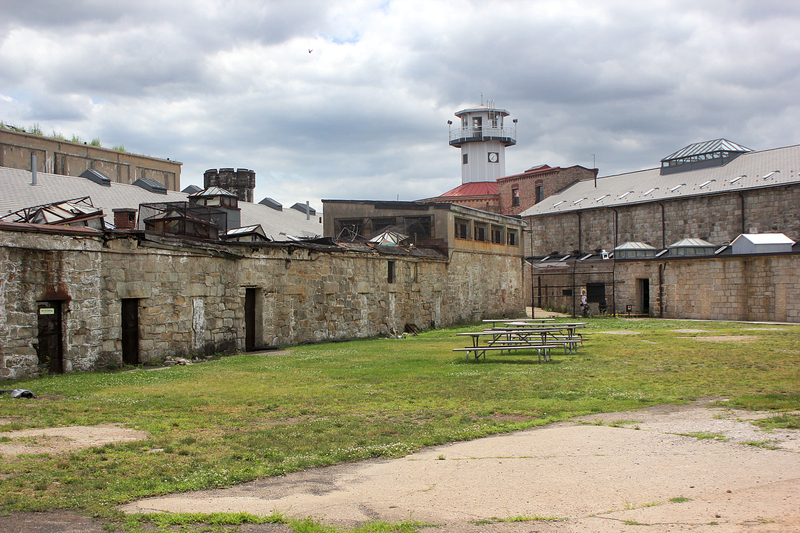 There were three original cell blocks ranging out from a central surveillance hub. 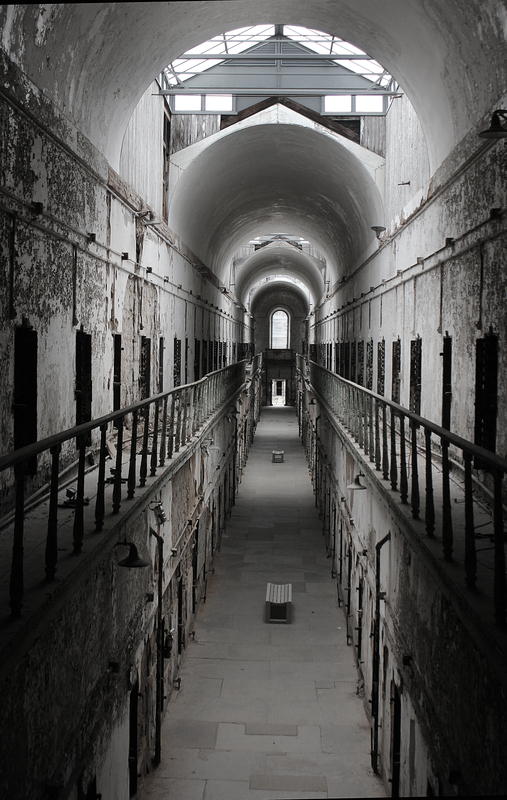 In 1831, Four more cell blocks were added to accommodate more prisoners. 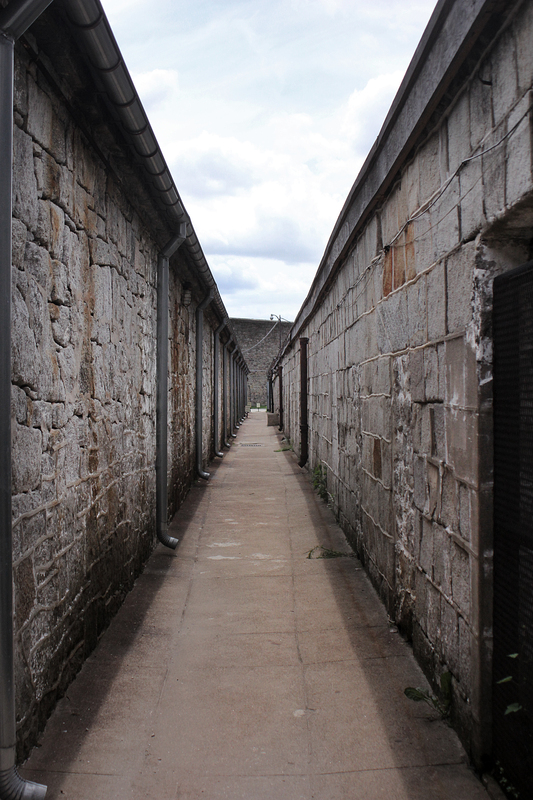 These cell blocks had two floors so as to accommodate more prisoners. In 1877 Four more cell blocks were added between the original blocks and these cell blocks did not have outdoor access. 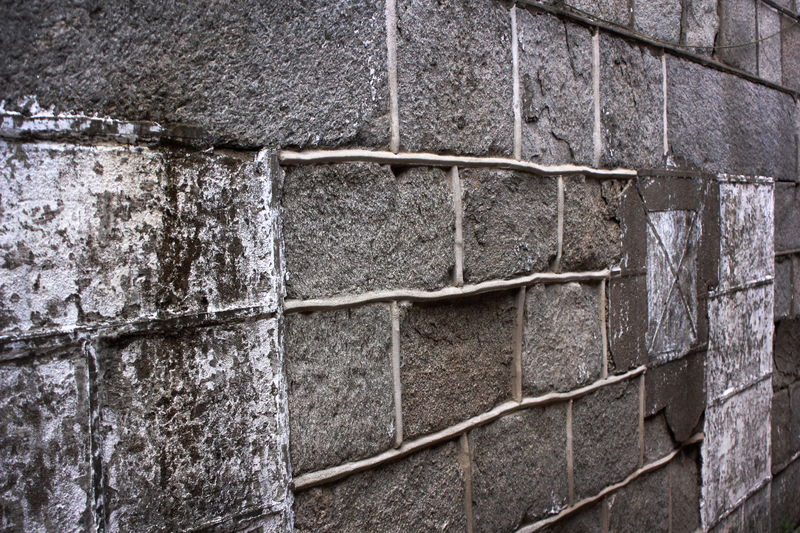 The first image shows what the cell block looked like in the 50’s and this is what the cell block looks like today. 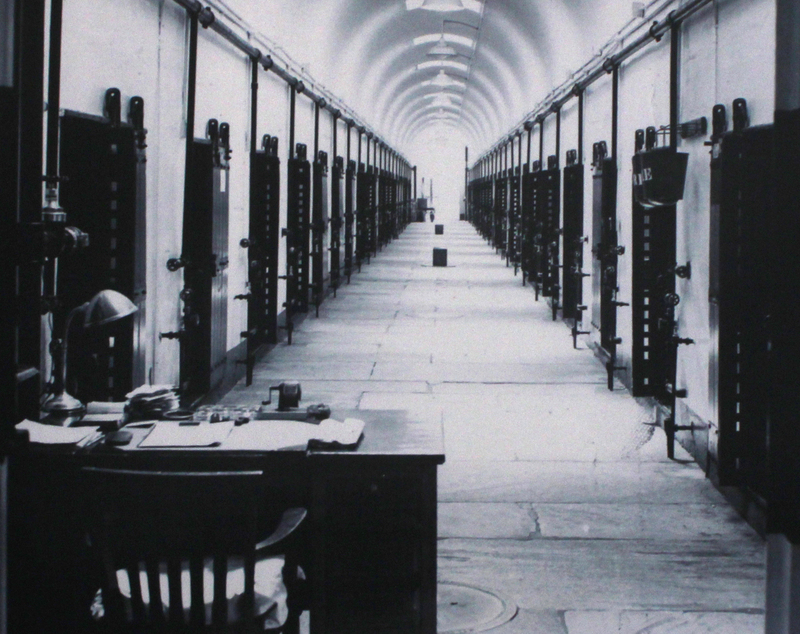 Cell block in the 1950’s. Prisoner guard desk over seeing the block. Cell block as it stands today. Each cell consisted of a bed, a toilet and a small door leading to an outside area. Not all cells had doors that lead to the outside. 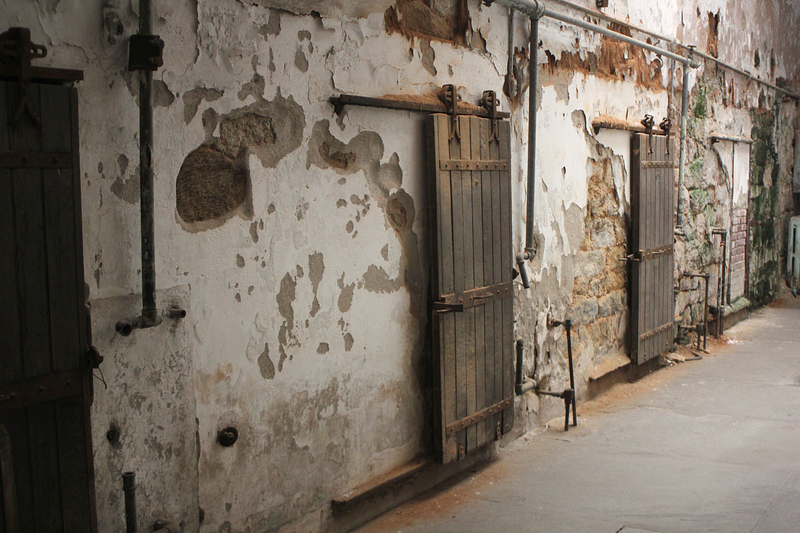 The cells built later between the original 7 cell blocks did not have doors in the cells to the outside. 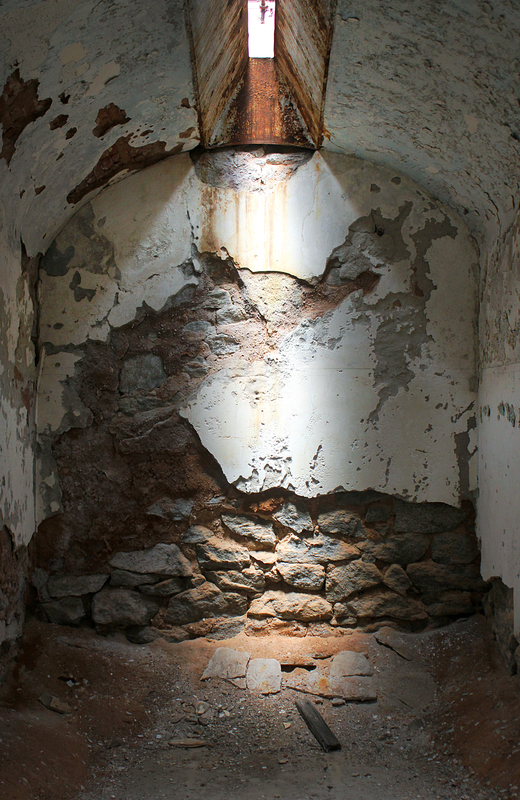 There was a small window in the top ceiling of each cell that the architect called “The Eye of God.” The doors to enter the cells were small so the prisoners had to bow to get through the door. 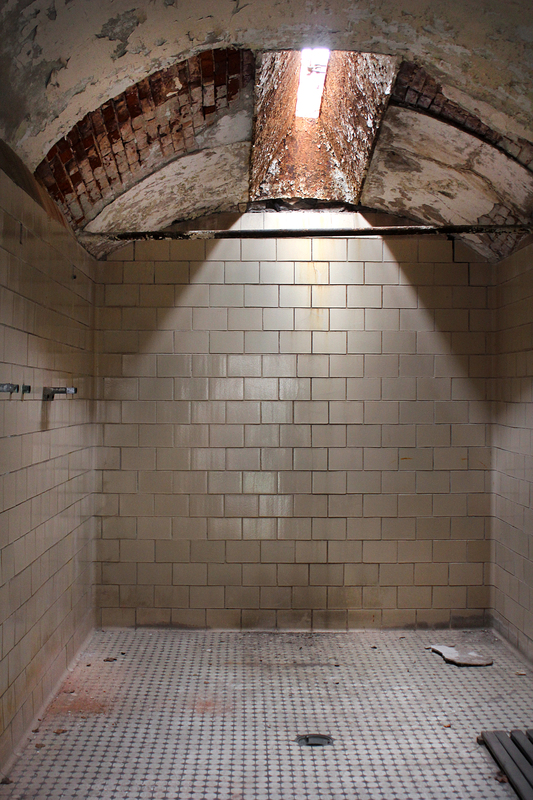 The high vaulted ceilings in some of the cell blocks had tall vaulted ceilings and felt like a cathedral at times. It is said that the penitentiary was not meant to simply punish prisoners, but push them towards spiritual reflection and change in behavior. Prisoner cell doors. An adult has to to step up and bow to get through the door. Small prisoner cell. Measures 8×12 ft. The window above was called “The Eye of God” by architect John Haviland. 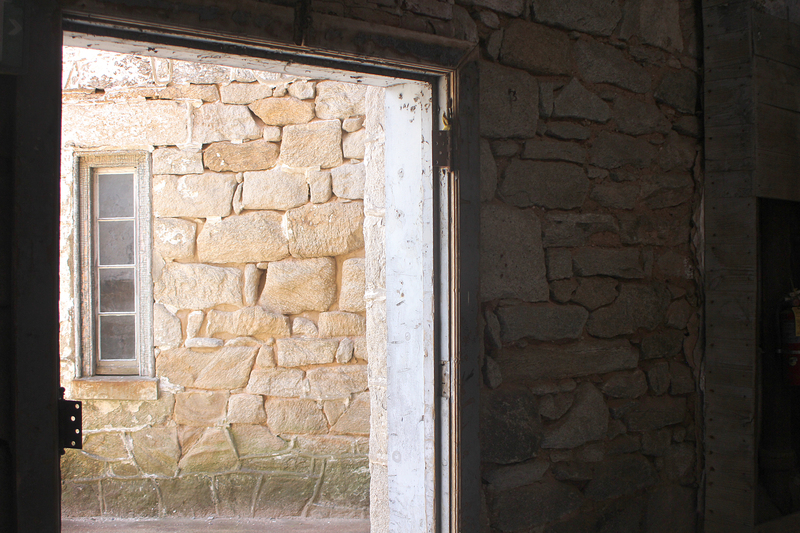 In seven of the cell blocks, cells had doors that lead to an outdoor areas. Seeing these cells made me feel like the prisoners were kept like animals at the zoo. The doors leading from the prisoners cells to an outside area. Prison walls are high. It’s a very claustrophobic feeling to be within the prison walls and in the cell blocks. The outside walkways leading to a from cell blocks are claustrophobic. You feel small within the walls of the penitentiary. 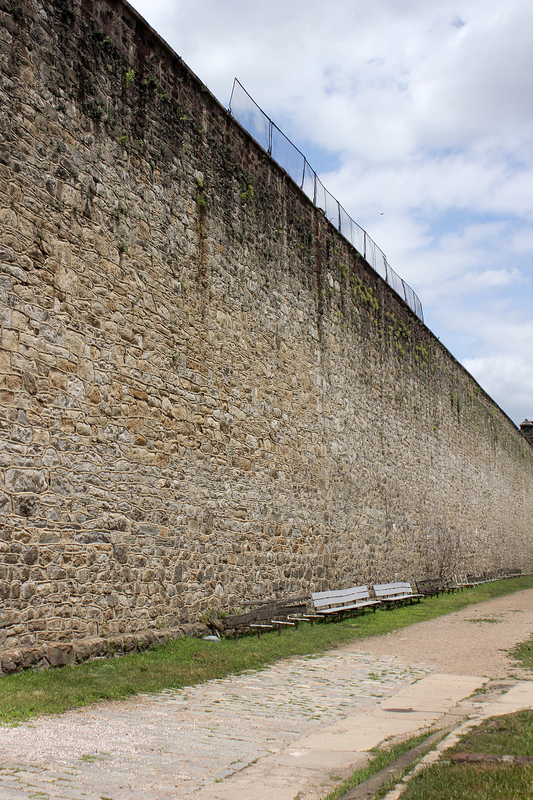 Looming walls surround the penitentiary and stand 30+ feet tall. Watch tower in the middle of the grounds. 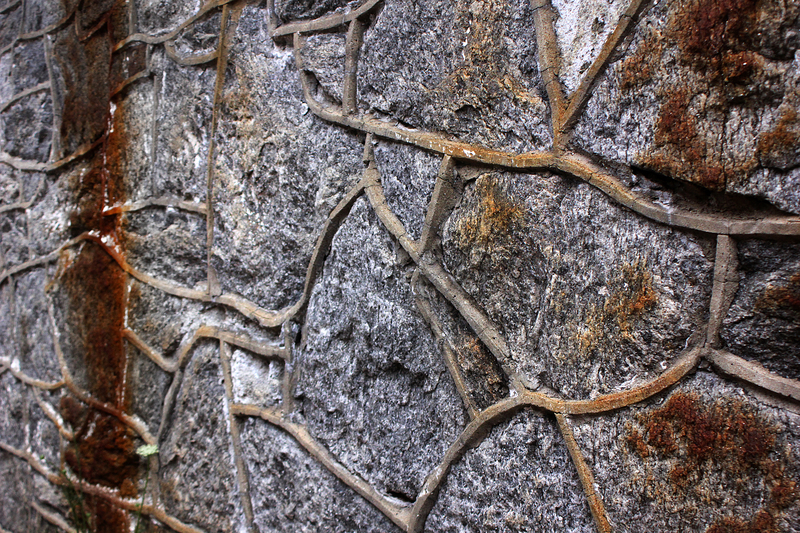 The walls at close inspection were interesting. They were like looking at giant maps of cities. 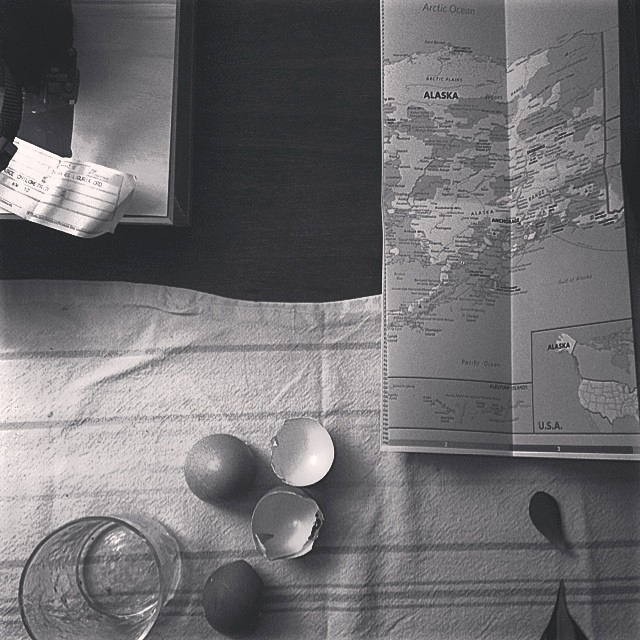 Roadways and land masses. I enjoyed looking at the walls. Door leading to outside walk way. At the end of the walkway is the open outside area. It was interesting to be inside the dark cell blocks, reading and learning about the history and then moving from inside to outside and how bright the light was and how amazing the breeze felt walking outside. Feeling the breeze on my skin after being within the prison walls for an hour felt fantastic. I can only imagine what this outside area meant to the prisoners. 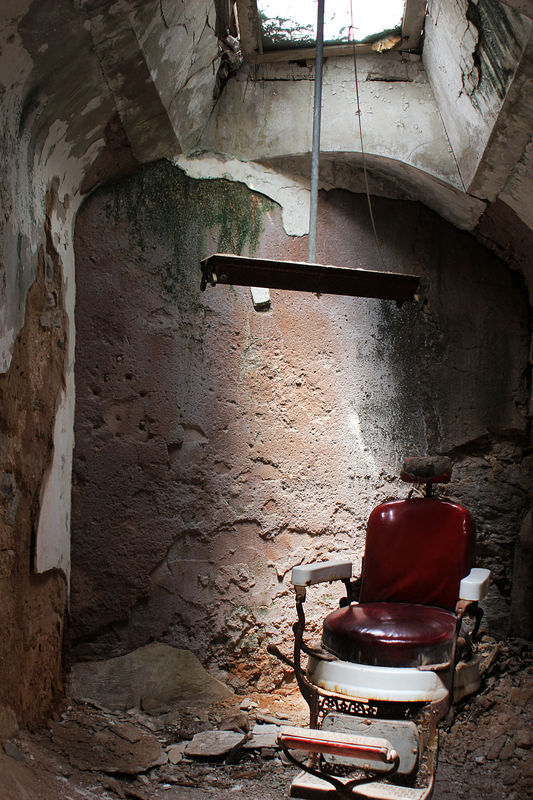 What I found most interesting was the way light came into the pentitentiary. It was well thought out by the architect. How much light to let in and where. Light affects us as human beings. It is an important part of a healthy life. The prison was dark. The cell blocks were tall and light fell in from high windows. The penitentiary cells were small and dark save the small window above letting a small sliver of light into the cell.I had the chance to go down and look into the isolation hall. You had to walk down a number of steps and bend down in order to walk into a narrow and dark corridor. They said the prisoners did not see light. They did not have anything in their cells with them. They would sit sometimes for days and weeks. The lack of light and contact with anything natural was evident as some prisoners would go mad upon returning from isolation. 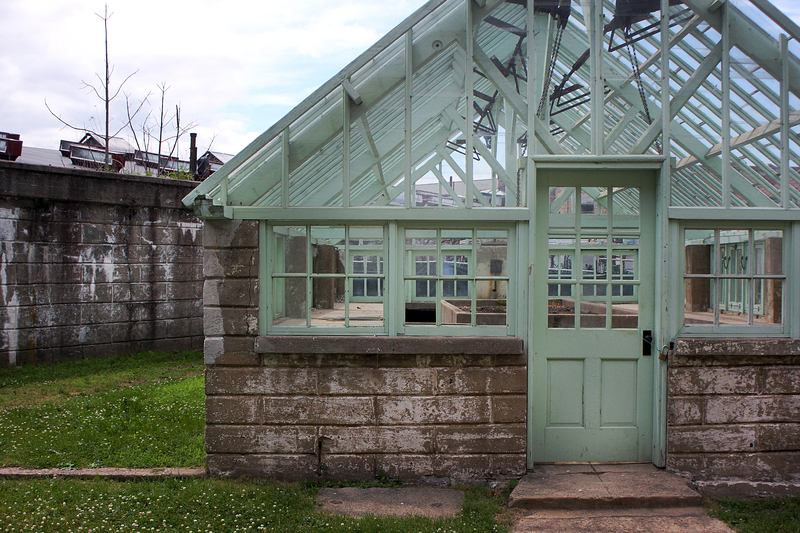 Outside, to the left of the isolation pit, stood the remains of a green house. I saw this as a structure of hope or a looking towards the future for the prisoners. They used this as a way for prisoners to gain skills that they could potentially use in the outside world when they were released. 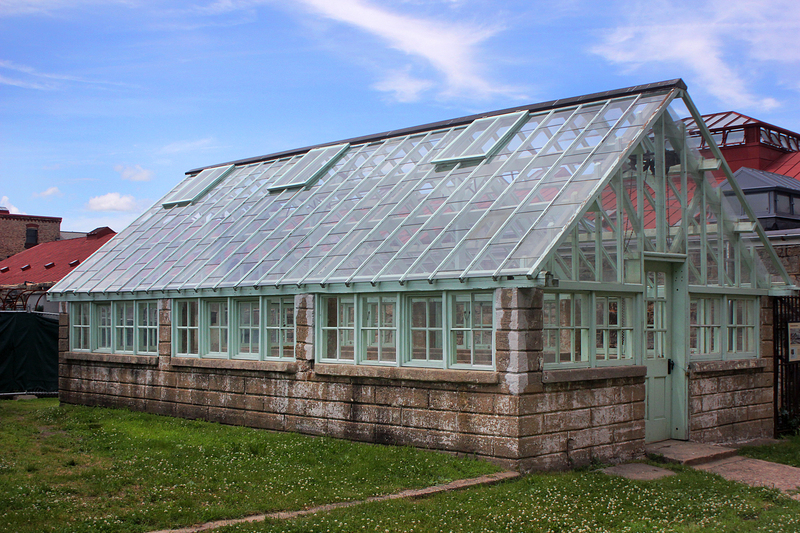 Many of the prisoners, later in the use of the penitentiary, enjoyed going there because tending to the plants was a calming, enjoyable way to pass time. NEXT TIME: ‘Portraits of a Cell’ – a personal series I put together. 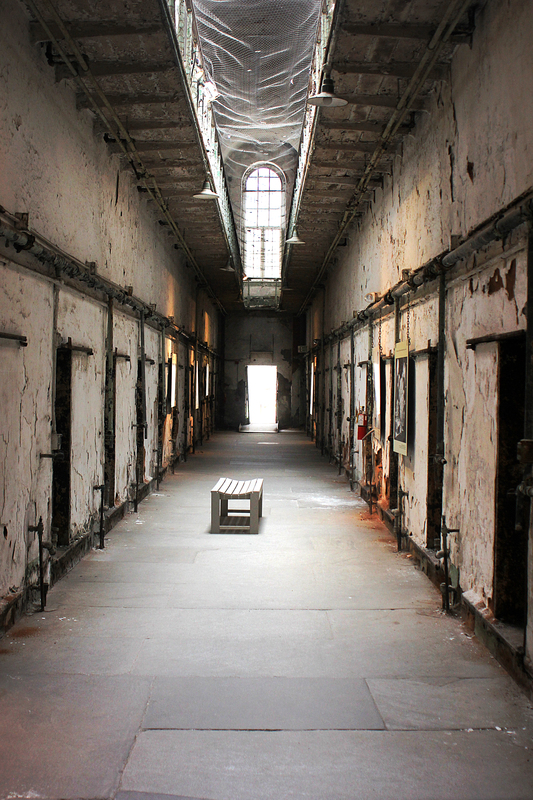 Have you ever visited Eastern State Penitentiary in Philadelphia? Shoot me a message or leave a comment about your experience or any questions you have about this post!